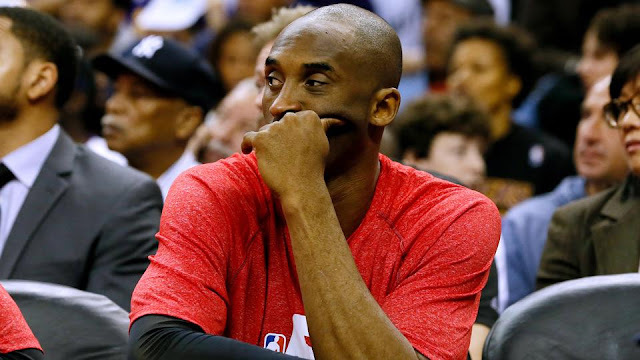 Kobe Bryant is likely to experience a lot of firsts this season, and most won’t be positive. After getting his first 85 or lower in the NBA 2K video game, Sports Illustrated has revealed that the Los Angeles Lakers veteran shooting guard has fallen out of their top 50 players in the game. Bryant is ranked No. 54 in Sports Illustrated’s list of Top 100 NBA Players of 2016, which was released in part on Monday. Sports Illustrated’s Rob Mahoney and Ben Golliver unveiled their rankings of players 100–51, with Bryant landing just outside the Top 50 behind Tony Parker, Rudy Gay and Ty Lawson. Indeed, there is a pretty good case to be made that Bryant shouldn’t be on this list at all. Bryant had the worst effective field goal percentage (.411) of any NBA player to take at least 700 shots. Nevertheless, Bryant’s usage rate (34.9%) was second-highest in the league, trailing only Russell Westbrook. Simultaneously, Bryant had the worst defensive rating (112.6) of any player that logged at least 1,000 minutes, and he ranked 81st out of 91 shooting guards in Defensive Real Plus-Minus. That’s what happens when you gamble off the ball with Donald Trump-like discretion and play transition defense like a flabbergasted tourist whose money belt has just been ripped off his waist in broad daylight. Bryant, has played just 41 games over the past two seasons, and has had three straight season-ending injuries. In last season’s rankings, Kobe came in at No. 24.